Installation, repair, and maintenance of high-voltage systems should only be carried out by certified and highly-skilled professional electricians. If you are running a construction or any residential, commercial, or industrial property that needs high-voltage works, always make sure that you are hiring the best industrial Electricians in Columbus, Ohio. This kind of project comes with considerable hazards not only for the electricians themselves but for the people and properties within the premises. That’s why the need for extremely competent and well-reputed electrical technicians can’t be emphasized enough. A lot can be at stake if you settle for less and take this aspect for granted. As a business or home owner, the safety and security of your family, your staff, and your properties should always be prioritized. If all high-voltage systems in your premises are well installed and maintained by the help of trusted electrical specialists, then you can have that peace of mind from knowing that you are safe and protected from immensely troublesome electrical problems. You know how a single fault in your wiring can lead to disastrous fire emergencies and you wouldn’t want to have to go through such catastrophic experience. Preventive electrical maintenance is key to avoid this kind of trouble. Feel free to talk to us regarding your need for high-voltage work solutions. It will be our pleasure to address all your concerns and present to you our different service packages with their corresponding reasonable rates. We can also customize packages so that they will suit all your electrical needs for your residential, commercial, or industrial space. Rest assured that your electrical system will only be taken care of by the best electrical specialists who are known for accomplishing excellent commercial, industrial and residential electrical projects all throughout Columbus, Ohio. 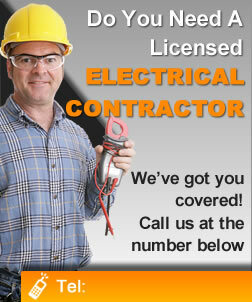 With our outstanding team of electrical professionals, you are in great hands. When Do You Need to Hire an Industrial Electrician?